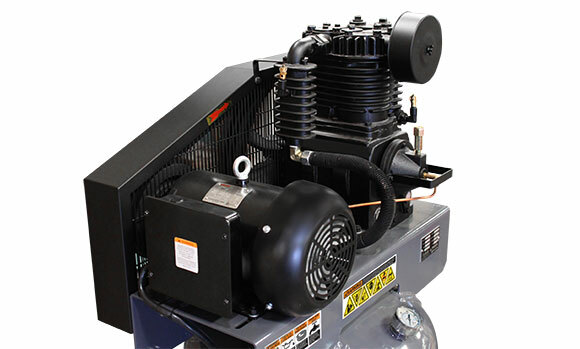 BendPak Elite™ air compressors are designed with energy saving in mind. They’re built for efficiency and lower operating costs, producing more compressed air at a lower horsepower. High-quality, slow running cast iron compressor pumps deliver proven longevity in the most demanding conditions. 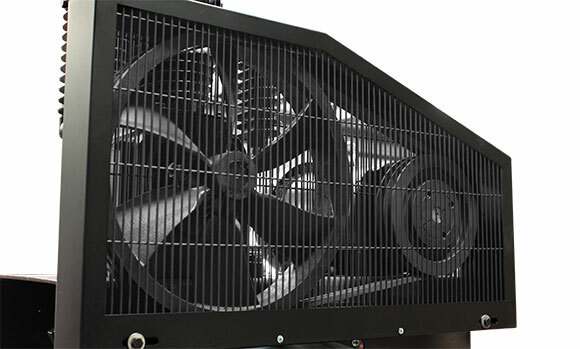 Because they run at a slower RPM than most comparable units, they’re quieter, run cooler and cost less to operate. 100% cast‐iron pumps provide the quality and performance needed for heavy‐use applications like automotive and body repair to manufacturing and industrial service. The 2-stage, twin piston pump features splash lubrication for total reliability and a finned cylinder configuration that provides 360° cooling. Heavy‐duty, disc‐type valves are dependable and accessible without having to remove the cylinder head or performing other complicated valve maintenance procedures. A built‐in inter cooler and air‐cooled after cooler chills the air resulting in reduced heat and condensation moisture.